Doreen is using Smore newsletters to spread the word online. Isn't this such a "No duh" notion? We all know how important engagement and routines are for children and never more important than at the end of the year to reduce student misbehavior. Please continue to be very mindful that you are following routines and planning for active engagement. 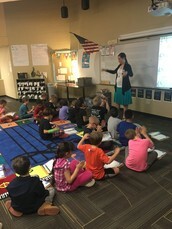 Notice the engagement in this picture from music. 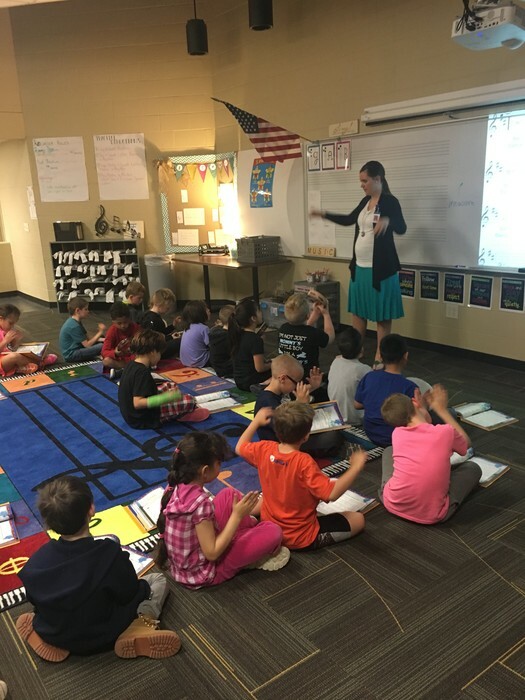 EVERY student had a job to do whether it was playing an instrument or doing actions to the songs. The pace was fast and expectations high. The result was teaching and learning around instructional targets versus monitoring and correcting behavior. How would you like to spend the last few weeks with your students? What can you do to ensure this happens? Erin Schoening shared this story with me last week. "When I was in Kaitlin's room the other day, her students were having a structured "genius hour". The students were able to research anything they wanted to related to force and motion. The students had a google doc that they were using to record questions and a shared doc for experiments that they wanted to try in class, but needed materials. Many students were finding experiments online and either recreating them, or making a plan to recreate them. Rylee Tierney found a youtube video about air resistance. After watching the video, she completed an experiment SEVERAL times with different variables. Then she grabbed her chrome and informed me that she was going to record her experiment and put it on her portfolio! It was such a powerful example of purposeful, student driven inquiry." It also is a powerful example of how student choice and empowerment can lead to increased engagement. We want to give our students reason to be academically engaged for the remaining 3 weeks of school. STAY FOCUSED, STAY POSITIVE, STAY PATIENT-WE'VE ALMOST GOT THIS! HERE'S TO A GREAT END OF THE YEAR! !